Pro Player Gear – Caroline Wozniacki Wins 1st Grand Slam! The 2018 Australian Open was unpredictable for tennis pundits, especially on the women’s side! Newly engaged pro Caroline Wozniacki let her game rise to the top for her first Australian Open and Grand Slam title. As of Monday she was also ranked number one in the world. Here’s a look at how Caroline captured the title in the latest adidas Stella McCartney styles! At the Australian Open Previews, Wozniacki put her superpowers to the test next to some familiar characters! 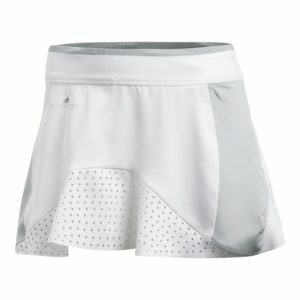 She looked impeccable in a classy adidas Stella McCartney Barricade Skort (below). It’s white with gray paneling, mesh, and yellow ball shorts. 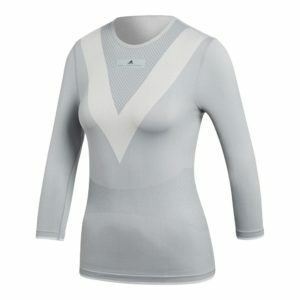 To complete the outfit she tucked in her Stella Barricade Long Sleeve Tennis Tee in Eggshell Gray. Stella tops are constructed with care, like real art. See how beautiful the neck accent is! Also, adidas has new women’s XXS sizing! 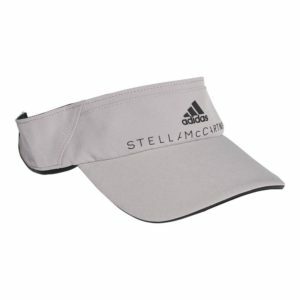 Wozniacki’s accessories, above, include her go-to adidas visor – the Stella version, and the toned-down adidas Stella Barricade Boost tennis shoe. The pair is comfortable, court-responsive, and have a thick black stripe with the Stella McCartney logo. She took these outfit staples with her to practice too! Just having the time of her life, Wozniacki played in the adidas women’s Retro Tennis Tank in Aero Blue. If we had as many tennis balls as are on the puff-paint graphic, we’d all be pros! The ClimaLite technology featured is probably why Caroline was so happy! 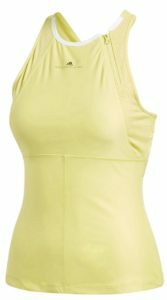 Wozniacki approached Day ONE of the Open in a sunny Stella Tank in Aero Lime. I’m willing to bet this color is flattering on any player! 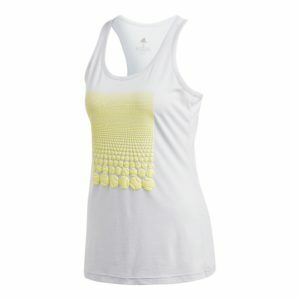 This top she paired with the Barricade Skort during days one through four of the tournament. Days five to 11 saw a determined Wozniacki. She rocked her round-three match in an outfit a lot of women call their favorite! She made her mark in the Tennis Jumpsuit from adidas Melbourne collection. Just look at the functionality of this fun three-in-one piece: it comes with a padded built-in bra, undershorts for ball storage and the range for a sick tweener. 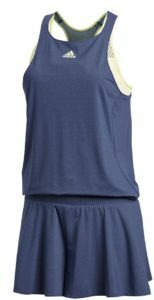 The bra padding allows you to wear this jumpsuit anywhere and the mesh slit back, plus ClimaCool technology, encourage a solid win on court! 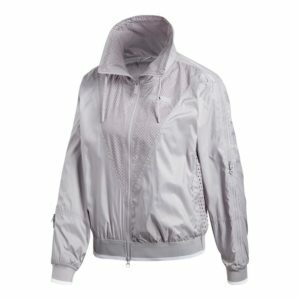 Caroline covered up, pre- and post- match in the Stella Barricade Tennis Jacket in Pearl Gray. Of course, to really do work on court Wozniacki used her Babolat Pure Aero Plus Tennis Racquet. It’s perfect for players like Caroline who love to hit deep baseline shots with a lot of spin. 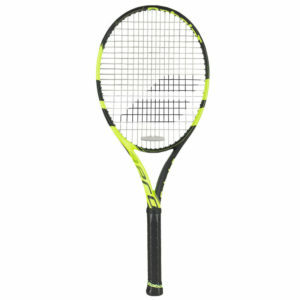 She uses hers well defensively, but you can attack with this racquet’s fast and aerodynamic frame. 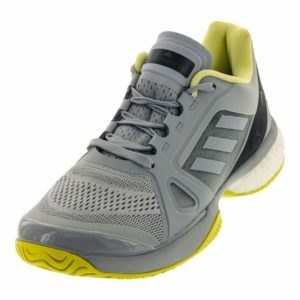 Celebrate Caroline’s big slam win and make these championship styles yours NOW at Tennis Express.com! AND the little miss that runs your courts can wow in adidas x Stella for girls!